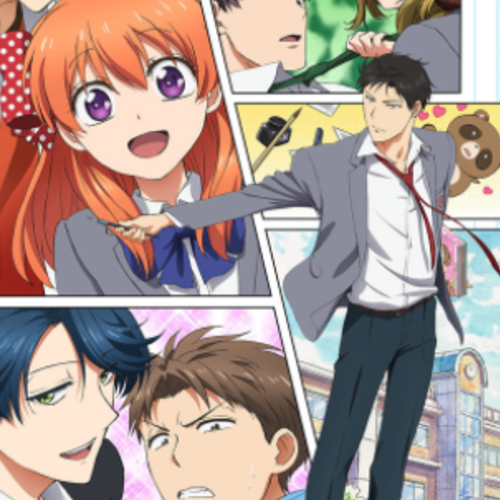 Monthly Girls' Nozaki-kun is a manga which I would like a cast to help me dub-over. I will be posting the final result on Tumblr, and potentially Youtube. We will most likely do two or three volumes of lines at a time, with an end result in late October, or early November. I will need lines done in two or three weeks time maximum, unless any other set of circumstances require your attention, and I am properly notified. In addition, I may do live direction with some of the main characters in the dub, just to ensure that the end result is something we can all be proud of. Be sure that your audio sounds clean, with no background noise or static in your take. Microphone quality is a must! Now that the stern stuff is out of the way, please remember that this is a comedy manga, and it's in all our best interests if you have a great time doing this. Don't be afraid to be silly in front of the mic, and should you audition or get a role, I hope you have a great time working with me! I highly suggest you take a look at the manga. Trust me when I say its hilarious, and you'd be doing yourself a favor to take a peek. Also, just one last thing. For now, I would only like to dub over the first six chapters. Therefore, some characters, like Wakamatsu, will be omitted. I may cast for other characters later on, should this project be successful. In addition, I may also ask you to dub over some other characters, such as background characters in the school, or the heros/heroines in Nozakis' manga. Good luck, and feel free to ask me any questions you may have! Nozaki is as talented as he is clueless. Which is to say a lot. He is a talented young romance manga artist, completely oblivious to his surroundings, and an overall friendly dude. I'm looking for a more deep voice for Nozaki, but nothing gruff. 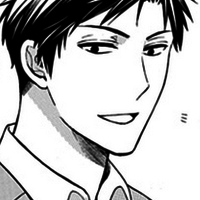 Nozaki is a soft=-spoken, gentle guy, but is by no means a pushover or timid. There is absolutely room for Nozaki to have an occasional outburst of artistic inspiration/panic. "Although it started as an observation to create a character, we quickly became good friends. He's the heroine." "Why would Tomoda go so far for me? . . . No, wait, I get it! HE CARES FOR THE MAIN CHARACTER!" "Hey, would you mind stopping at my house tonight? . . . I'm sorry, but I made too much food again." Chiyo literally never gets a break. She is a sweet young girl, who very obviously has feelings for Nozaki, who doesn't quite seem to notice. 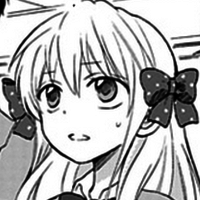 As such, Chiyo can be frustrated when the people around her do incredibly stupid/oblivious things. Regardless, she is gregarious, talented artist. I'd prefer Chiyo's voice to not be too high, but slightly up there. The tone/pitch that I'd like from her is similar to that in the anime, which can be easily accessed on Crunchyroll. for free. However, should you want to try a medium-pitched voice, feel absolutely free to do multiple takes. "Although I confessed, he wasn't aware of it. But because of this good fortune, I was able to converse with him more frequently. Roughly, I'm considered someone who does odd jobs for him..."
"What do I do? Even though I unconsciously followed him...Sure enough going back would be better. But other people will come like this..."
"How should I put it. . . The hero's popularityelement seems non-existent Four seats?!" Mikoshiba is an idiot. Like a huge idiot. One of his most distinguishing characteristics is that he says overly romantic lines to girls and gets embarrassed about it. He does background art for Nozaki, and is especially talented at those glittery roses typically found in any shojou manga. 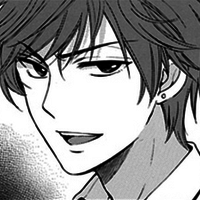 I would prefer to Mikoshiba to have a slightly higher voice, but nothing extreme. He needs to be able to go from a smooth talker to someone who just got caught slipping on a banana peel and dropped his ice cream in his face in a second. "Huh? You don't understand this? There's no other way then, let me take a look!" "If there is anything you don't understand, don't come to me. I hate those kinds of troublesome things!" Seo is a bit of a tomboy, a bit of a sadist, and shows love in strange way. She is often requested to help the sports' teams practice, not because shes' talented, but as to make her an example of how not to play the game. While not usually directly involved with the main characters, she is still an important role in the series, and has feelings for Wakamatsu. I'd like her voice to be a bit lower, and mischievous. She often speaks without thinking, and she laughs manically at times. It's great. "This bag. . . the old man living next door to me also has one, with a matching outfit." (Context: Seo is a huge jerk. After looking at a friends' new bag, she does her best to try and compliment it." "Alright!! I'm gonna win! Until the game has ended, you can't leave! *evil laugh* "
"Well, generally, I think I'm pretty considerate of others. I'm good at giving advice, I'm perfectly aware of my surroundings, I can read the atmosphere...Am I too perfect?!?" 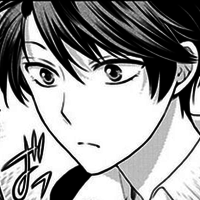 Kashima is a girl who looks remarkable like a dude. This makes her extremely popular with her fellow classmates. While more subdued than Seo, she is still a troublemaker, often skipping rehearsal for her drama club. 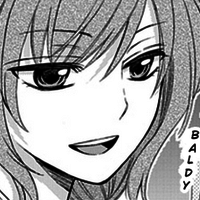 She has feelings for Masayuki Hori, and flirts with him by making him angry. "It can't be helped. shall we paint it together?" "Hori-chan-senpai intended to be the lead all the way through third year. In the end, his growth stopped and he became a pitiful person." "Strage as it may seem, I'm the highest in the grade..."